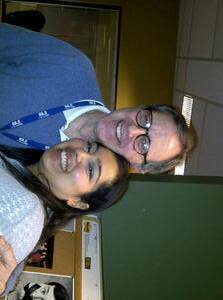 Today we're celebrating Dave Bronstetter's 33 years with the CBC. As the former host of Daybreak, Homerun and All in a Weekend, he covered everything from politics to culture to sports. And he made a lot of friends along the way. A steady stream of colleagues and friends join us in this half hour, including Tonic host Katie Malloch, Melissa Kent (now working in New York City for the CBC), national reporter Nancy Wood and Brendan Kelly, cultural reporter for The Gazette (and Daybreak's arts columnist too). We'll also hear some of your letters to Dave.